Welcome to International Bible College based in the beautiful city of Whangarei, New Zealand. Welcome to a Bible College that is truly global where its courses reach many nations equipping men, women and youth for the great work of Christian service. Welcome to a Bible College that has birthed other Bible Colleges in the nations, which are training many pastors and future leaders. This is multiplication in action. Read our Vision and Beliefs and you may wish to enrol or buy some books online. The harvest of nations for Christ and the advancement of His Kingdom globally is the ‘heart-beat’ of the Great Commission, to disciple nations and teach everything Jesus our Lord taught. The harvest is ready and ways must be found to train more people with expediency in order to reap the harvest. There must be break-throughs in mission ‘thinking’ and ‘methods’. Leaders and future leaders need to be courageous enough to seize the moment and take new opportunities for God. We live in momentous times where the Holy Spirit is being poured out upon the nations. The greatest harvest of souls in Christian history is being reaped in our times. The peoples of the nations cry out for knowledge of God, for salvation from their sins and Satan’s enslavement. Where are the gospel workers? Where are the gospel workers sufficiently strong in God’s word to raise-up local churches, who in their turn, can reach out and plant more churches? The apostolic vision that God is restoring all over the world in our times, is strongly felt in our College courses. Students will encounter the faith and fire that motivated the revivalists and reformers of previous church history. They left an enduring legacy. Students of International Bible College will also leave an enduring legacy globally, influencing in turn millions of people. Such is the opportunity of the times we live in! So welcome again to this Bible College! The Bible College is based in Whangarei City with a night school and availability for on-line students globally. National overseers of various networks apply to use our courses and often are enabled to set up Bible Schools of their own. Hundreds of leaders are trained in this way – it is multiplication in action. Our courses as at 2019 are translated into 11 languages. Please note: The Bible College does not provide financial funding or scholarships. 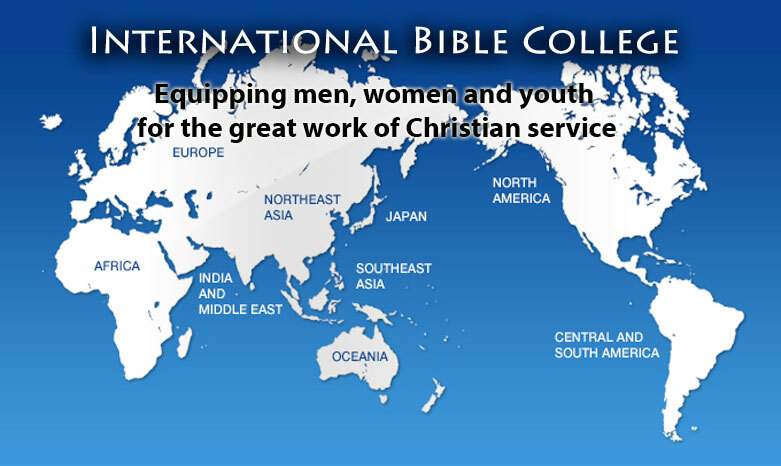 International Bible College is passionate about equipping God’s people for effective Christian Service. At our Whangarei base in New Zealand a keen class of men and women are in training. On-line students are also doing well. Overseas, National overseers use our courses to set up Bible Colleges, often translating courses into their own languages. The passion of our Lord Jesus was for labourers to bring in the harvest. These labourers need training and our Bible College can provide this, working in partnership with national leaders overseas. We have good reports coming in from Myanmar, Pakistan, India and Africa, from the Bible Colleges using our courses. Take a look at life4nations.org.nz for useful information.